Zinc alloy die cast housing and cylinder. 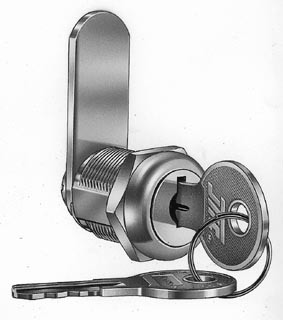 Key may be withdrawn in one or both positions. Various cam configurations and rotations available. 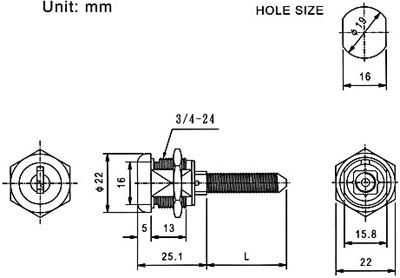 C650XS cam is fixed only, other size cam affixed by screw or fixed. Hex nut or speed clip mounted. 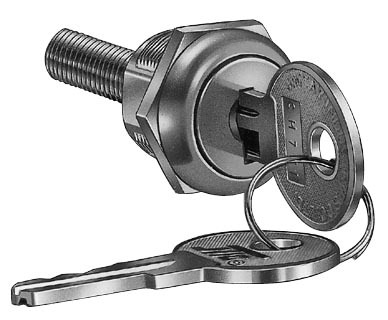 Key may be withdrawn every 90o degrees. 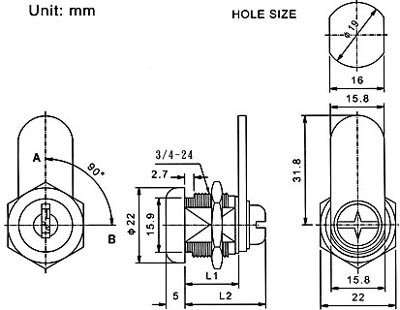 Standard thread on shaft is 5/16"-18. "L" dimension 30.8mm standard, others upon customer request.